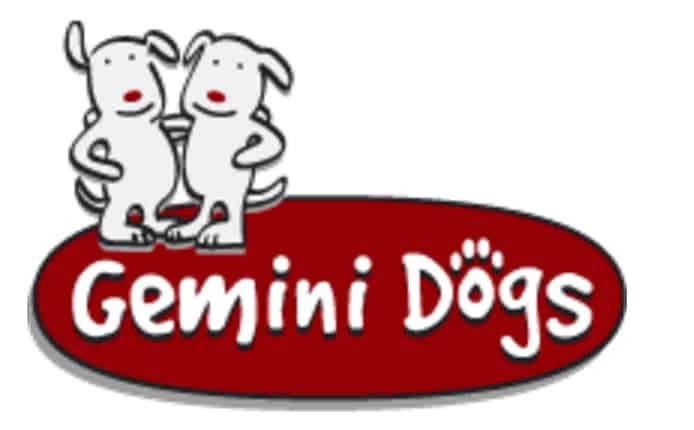 At Gemini Dogs, we emphasize the fun and love in everything we do by teaching positive reinforcement through clicker training. 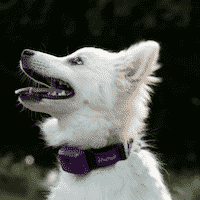 Our training methods are based on proven scientific theory, not trendy training methods or punishment like e-collars. 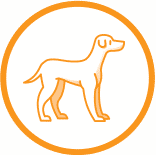 We truly believe that training and behavior modification should be safe, enjoyable, and successful for both you and your dog! 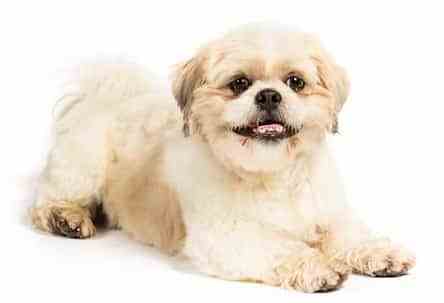 Have you noticed a change in your dog or cat’s behavior? 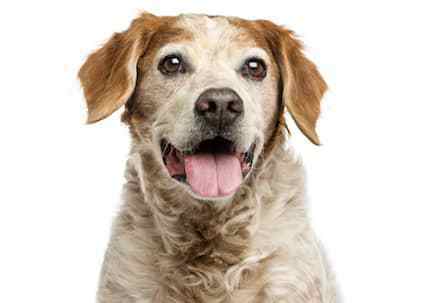 Would you like to identify health issues early as your pet ages? 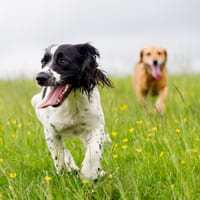 Does your pet have a health condition you’d like to monitor closely? 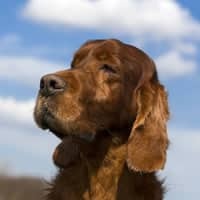 Would you like better information to help you care for your dog or cat? 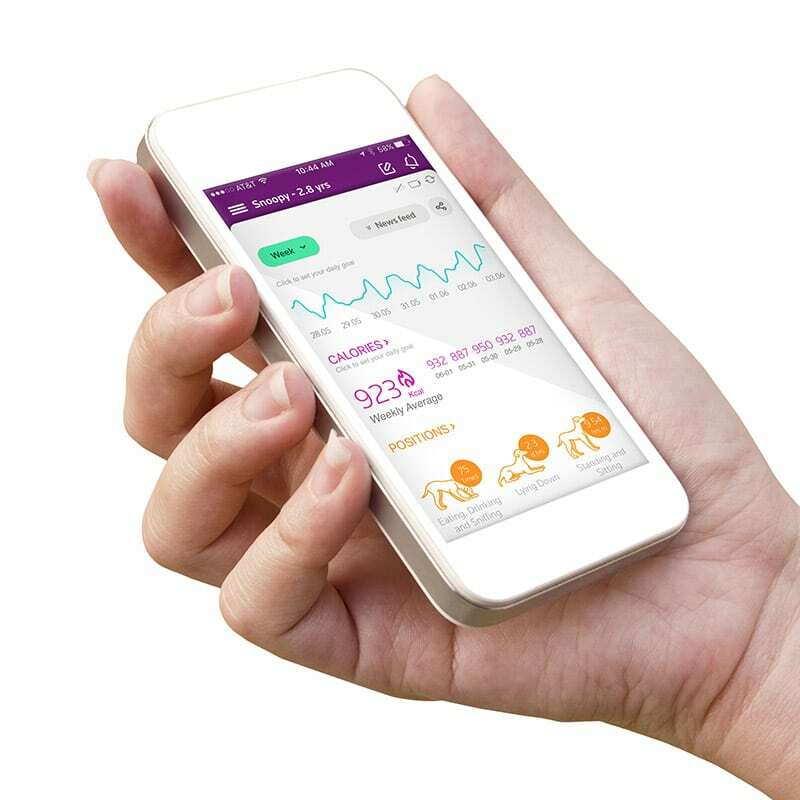 HOW DOES THE HEALTH MONITORING SOLUTION WORK? 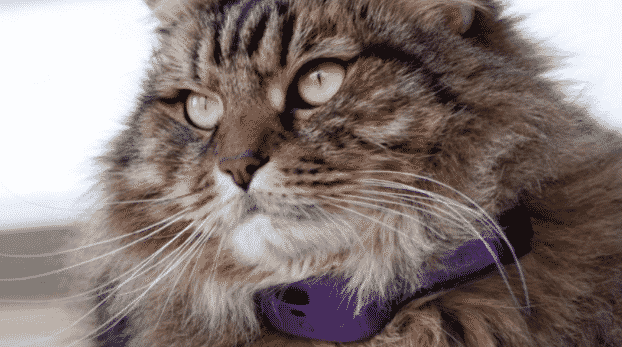 The PetPace Smart Health Monitoring Collar is a non-invasive wireless collar that continuously collects your pet’s vital signs and behavior patterns. 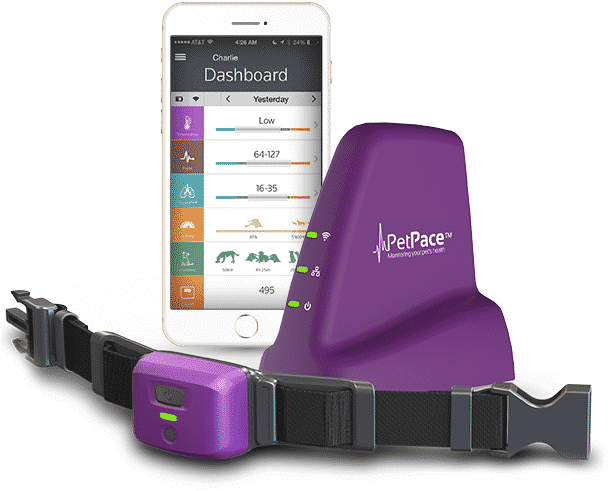 Use your smartphone for health alerts, instant checkups and to monitor the overall well-being of your dog/cat using the PetPace Smart Collar. 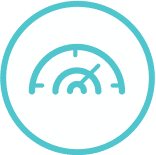 Browse your pet’s vital signs and activity levels, and share the information with your vet. Ideal for old, sick and at-risk dogs and cats. 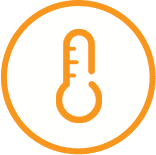 Monitor body temperature – detect fever, heat stroke, hypothermia, etc. 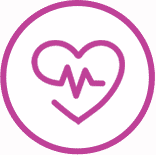 Monitor heart rate – identify high and low pulse rates and irregularities. 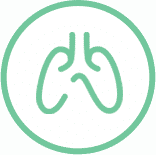 Monitor respiratory rate – identify unhealthy changes. 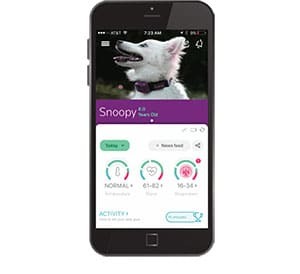 Monitor your pet’s activity – see changing trends; set activity goals. 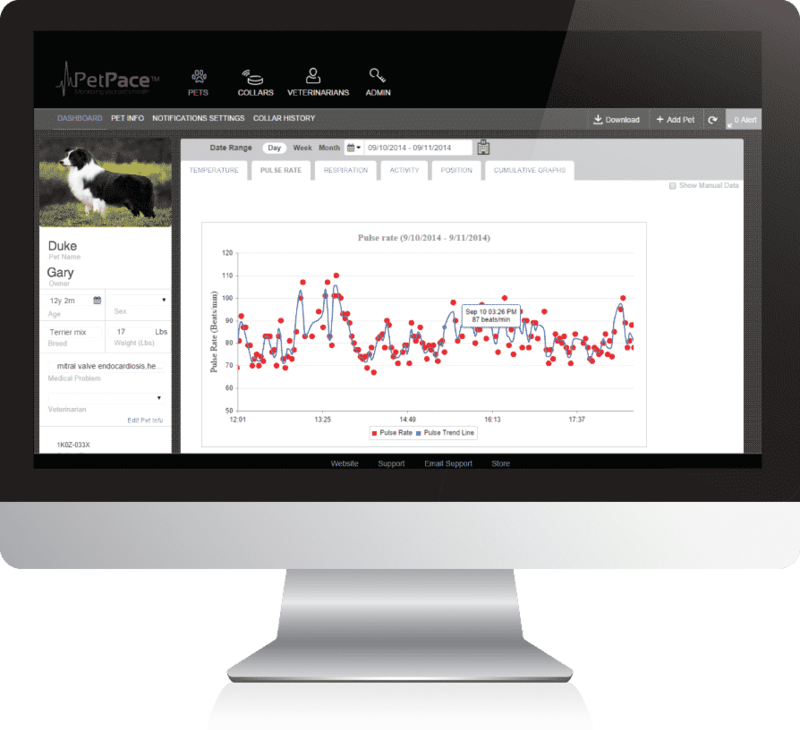 Monitor the body posture of your pet and follow trends to identify pain, recovery from injuries, and more. 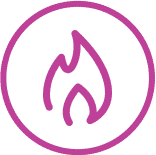 Track calories burned and help in weight loss programs and prevent obesity. 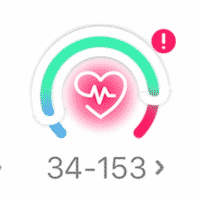 Monitor HRV (Heart Rate Variability) monitor any changes or abnormalities that could indicate pain, stress or underlying disease. 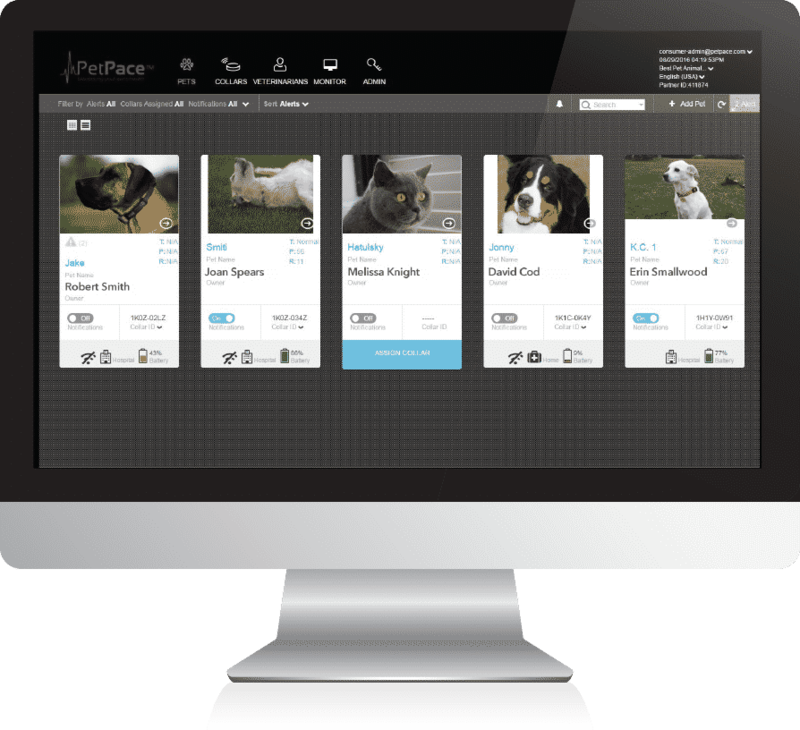 Pets can’t tell you how they feel, but PetPace can accurately, non-invasively, and continuously collect data and generate immediate health alerts right to your smartphone, anywhere, anytime. 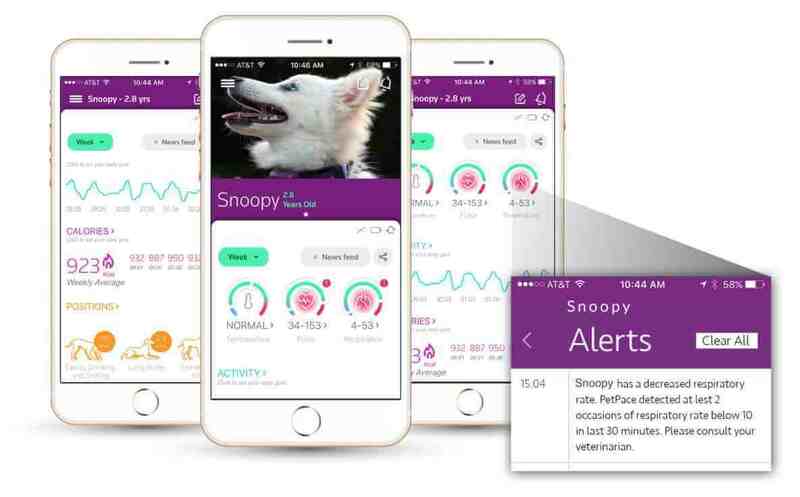 Raise standard of care in the clinic and at home with advanced wearable technology that continuously monitors all pets under your care, particularly those that are sick, old, or at-risk or developing a disease. 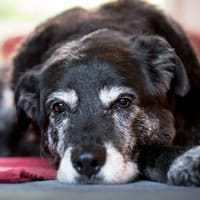 As pets age, continuous medical monitoring becomes even more important. 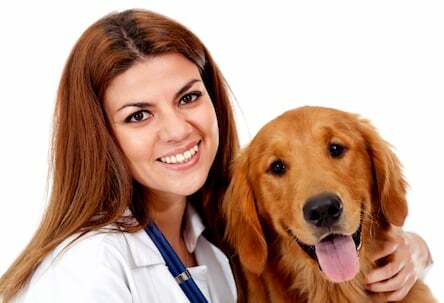 Pets suffering from medical or behavioral conditions need especially close monitoring. 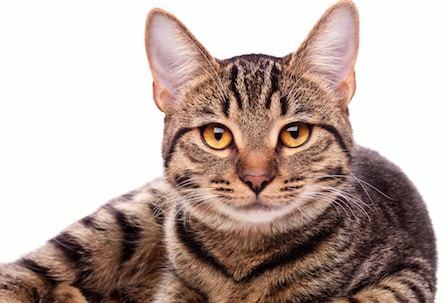 Every pet, like every person, benefits from ongoing medical oversight to ensure health and wellbeing.